Featuring departures until the end of April 2020, our latest award-winning holiday brochure contains even more of our unique range of offers so prices are better than ever. 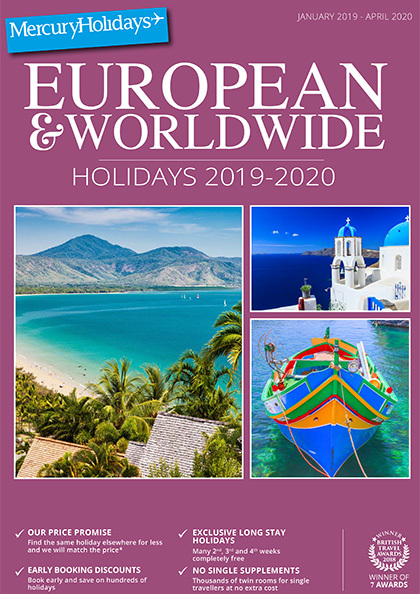 With even more new hotels, resorts and destinations (now including Santorini and Oman) this new brochure offers you the widest choice of holidays ever. 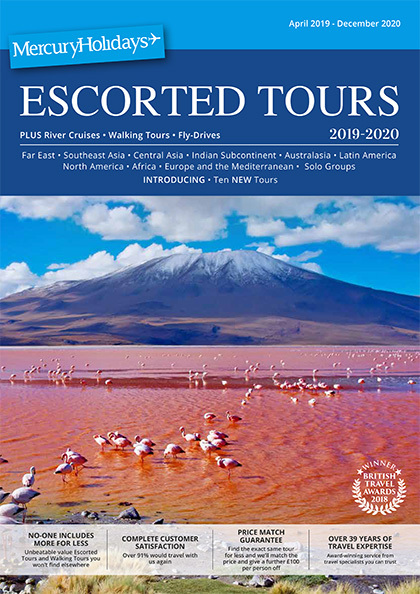 Our brand new Escorted Tours Brochure, now including Solo Tours and Walking Tours, brings even more of the world for you to discover and explore. Choose from a selection of over 90 itineraries including twelve brand new tours. All of our favourites are still there including China, Vietnam, Sri Lanka and India so there is plenty to whet your appetite. Our fantastic selection of Tour Add-Ons and extensions have also been expanded allowing you to pack even more into these unique holidays.